Courtesy of Heather Eidson Labre, a Loyola organization, works with homeless near Loyola’s campus. A student leader in the group didn’t know some Loyola students are themselves homeless. When people think of homelessness, college students rarely come to mind, but some of Loyola’s own students are vulnerable to being homeless. Loyola University Chicago had 33 undergraduate students file as homeless on the 2009-10 Free Application for Federal Student Aid (FAFSA) application. That number nearly doubled compared to last year, when 71 students filed as homeless during the 2016-17 filing period, according to documents obtained through a Freedom of Information Act (FOIA) request to the Department of Education. FAFSA is a free form any college student can fill out to determine if they are eligible for financial aid. A study at Wayne State University found the number of homeless students in higher education programs is growing alarmingly fast. Kimberly Moore, assistant dean of students at Loyola, said the Office of the Dean of Students and the Office of Financial Aid are good resources for students facing, or who are at risk of, homelessness. “I think when a student is in distress it’s always important for them to ask for help, and if they don’t know where to go, or who to ask for help, the Office of the Dean of Students is a good place to start,” Moore said. Tobyn Friar, the director of financial aid at Loyola, said it’s important for the Office of the Dean of Students and the Financial Aid Office to build a relationship with Loyola’s homeless students. These numbers depict a limited representation of students, since applicants must prove they are independent — without a guardian — and that they are under the age of 24 and homeless or at risk of becoming homeless. For most students, a homeless youth determination form is required by the university they attend. Students can have this determination made at their high school or by a director at an emergency shelter or housing program, or university administrators can make the determination when the FAFSA is submitted, according to the FAFSA website. If a student is determined to be independent, that student can accept an increased federal loan of $9,500 as a first-year, according to Friar. Assistance in finding housing or food security can be achieved by Coordinated Assistance Resource Education (CARE) reports. These reports can be turned in by any faculty member, according to Moore. Moore is responsible for reviewing and handling most CARE reports at Loyola and said these reports offer students with multiple challenges the resources they need to stay in school and focus on academic success. 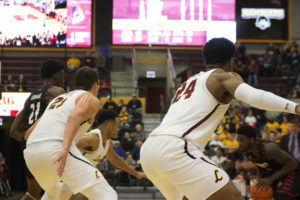 Over-enrollment at Loyola for the past two years, as previously reported by The Phoenix, has made it more difficult to provide homeless students with temporary housing, according to Friar. Moore said the Office of the Dean of Students has been able to provide resources for every homeless student they’ve worked with, but the department doesn’t receive FAFSA information and can only work with students if they self-report being homeless. Temporary and permanent housing has been provided to homeless undergraduate students in the past, according to Moore. The U.S. Department of Health and Human Services defines a homeless individual as someone who doesn’t have consistent housing and lives in a public or private temporary housing facility. In Illinois, 2,222 students filed they were homeless on the 2015-16 FAFSA, according to the FAFSA Data on Unaccompanied Homeless Youth (UHY). During the 2015-16 filing period, 64 of these students attended Loyola, 90 attended DePaul University and 107 attended University of Illinois at Chicago. These numbers may be higher than reported since some students are reluctant to admit homelessness, or they don’t recognize their situation is a case of homelessness, according to the Wayne State University study. Moore said she thinks most student-oriented departments on campus know some students could potentially face homelessness. “If somebody becomes aware that a student is housing insecure or facing homelessness, a great referral would be to our office [Dean of Students] or to the Wellness Center,” Moore said. Joan Holden, director of the Wellness Center, said she was unaware of Loyola’s undergraduate homeless population. However, all students who go to the Wellness Center for mental health checkups are asked by the mental health provider about their housing status, according to Holden. At Loyola, there currently aren’t any specific services devoted to this population of students. 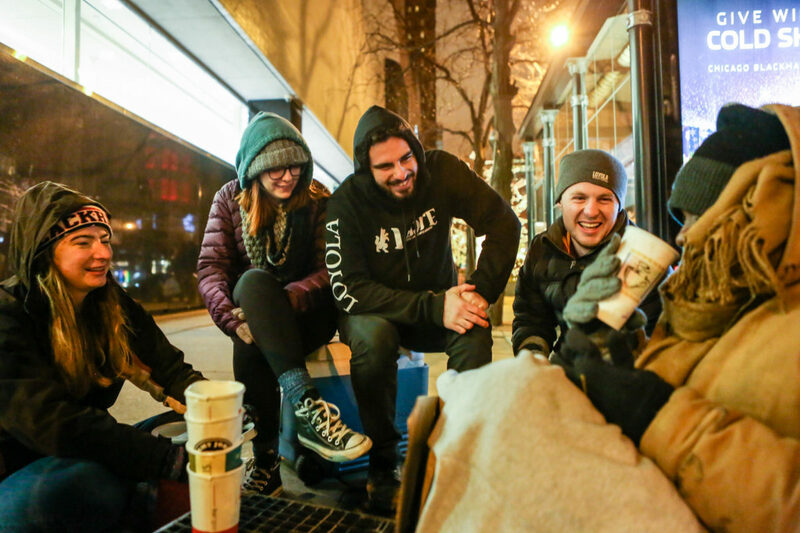 However, the student organization Labre works to build community with Chicago’s homeless population around the Water Tower Campus by offering its “friends on the streets” food, according to Justin Cabrera, a Labre student leader. Cabrera said he didn’t know some Loyola students faced homelessness themselves. The National Center for Homeless Education found that students experiencing homelessness are burdened by financial stresses and can suffer academically. Jonathan Rosenfield, a career counselor at Loyola, said other issues such as housing, food and security are probably more pressing for homeless students at Loyola than receiving career advice and counseling. Friar said the social justice and humanitarian aspects of helping these students plays a large role, but academic performance is also a major concern involved. “In most cases you can definitely see a decline in the academic performance of students who don’t have that stable housing component, because they just simply don’t have the ability to focus,” Friar said. Maggie Yarnold is a fourth year, Chicago-native at Loyola University Chicago studying environmental conservation, environmental policy and journalism. She has written for the news section and The Phoenix's special issue, and will focus her career around environmental journalism and sciences. well if the greedy school could stop over charging for their over valued “degrees” maybe the students would not be homeless, ya think!